Dietary Auto Templates- Why They’ll Never Be The Answer. 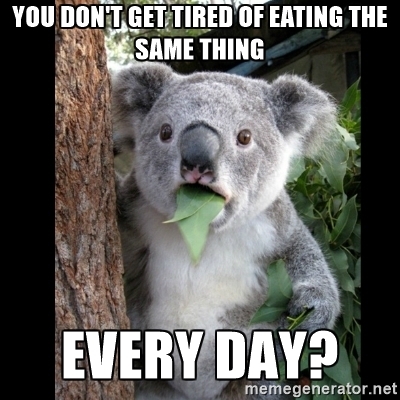 This is something of a conundrum in the nutrition and dieting space and it’s safe to say that it’s a pet peeve of mine. Outlined below are a few of my thoughts on why auto template diets are not now, nor ever will be the answer to your health or physique goals. Auto Template Diets do not take into consideration the law of individual differences. Show me any two people who are exactly the same in terms of genetic makeup, lifestyle and socioeconomic factors, as well as a host of other differences that we are all subject to and I’ll call your bluff. So why then do people believe that following the exact same diet as celebrity “x” will give them the same results? It’s ridiculous and illogical to think in such terms. The very fact that you are your own individual should make you excited to have your own individual nutrition prescription with your own individual goals in mind. Auto-Template Diets are not auto-regulating. Basically all this means is that your diet is not changing as your body is changing to continually fit the need of your body for your goals. A template doesn’t know what your hormones, sleep, and performance are like while on its stringent caloric protocol. Speaking earlier of an individual prescription for your individual goals, your goals may change as you evolve physically, mentally and emotionally as a person. Where is the lure of the template now? “But can’t we just switch to a template closer to where our body has adjusted to?” NO!I’ll tell you why that also doesn’t work, on top of the first bullet point that I made. Auto-Template Diets are based off of the lowest common denominator. Simply put, this means that when created, these templates are based on the minimum amount of calories needed to obtain results. So if you’re an individual who’s body is demanding “x” number of calories, but the template is trying to stuff you in the category of “y” calories, then you are sabotaging your metabolism, health and progress. There are a few more serious potential bodily threats to following this type of template approach, but that is outside of the scope of this article and will need to be discussed some other time. I’ve yet to see an auto-template diet work long term for anyone. Short term results may come, but once you’ve hit the wall and your body starts adapting and changing to that protocol, what then? With the (A-T) approach there is no coach to consult with to help you get out of your rut. Before you know it, you’re back at square one, or worse, with diminished metabolism and perhaps waning health. These are some serious things to think about when deciding which direction you want to take your health, goals and nutrition in the future.